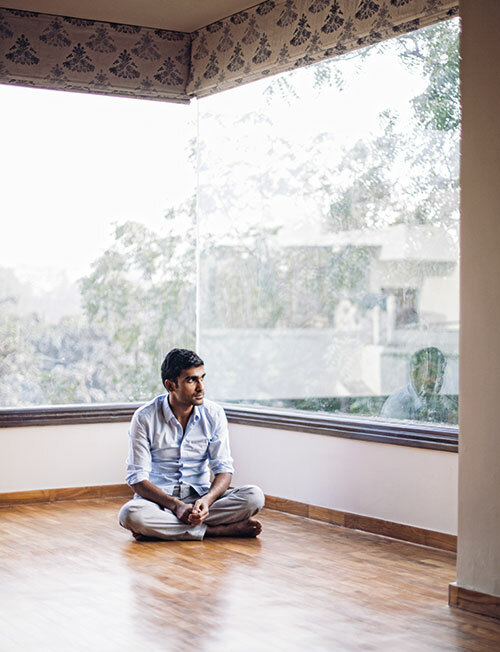 Ask fans at a Prateek Kuhad show, ‘When did this guy become such a big deal?’ and you’ll get a different answer each time. Even though he first popped up on most newsfeeds only in 2015 with the release of his debut album, In Tokens & Charms, the Delhi-based singer-songwriter has steadily been carving an inimitable spot for himself on the indie music scene ever since he came out with his EP Raat Raazi in 2013. His folksy, soulful sound is best enjoyed live — acoustic, expressive and unrestrained — or while snuggled up in a blanket with a book…and maybe a glass of wine. “My process is instinctive and organic. I try not to be analytical but it doesn’t always work because it’s only human to judge — even oneself,” he muses. While he’s been influenced by Nick Drake, Elliott Smith, Led Zeppelin and Bob Dylan, his current playlist features Kasbo, Kendrick Lamar, Solange and Frank Ocean.